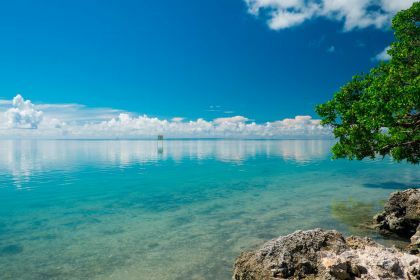 The Florida Keys, a delightful coral cay archipelago, allows you an exciting immersion in a wonderland of cruising pleasure. 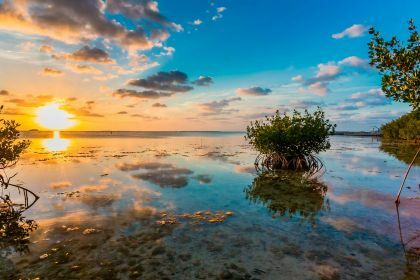 With over 100 Florida Keys islands to explore on your luxury yachting vacation, you’ll have to figure out what is it you’ll be doing first. Florida sun, coral reef, pub crawl, mangrove trails, wreck diving, coconut palms, teal sea strewn with myriads of yachts. Here the Gulf of Mexico meets the Atlantic Ocean, and it is the best yacht charter destination ever. Are you looking for adventure under the sea? Then the Keys are the right place. Grecian Rocks near Key Largo will make a good start. 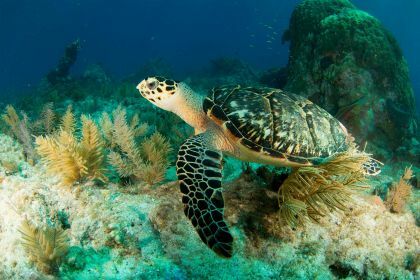 Barracuda and turtles, small sharks and parrot fish – plus, you don’t need a diving gear to see all of that, a mere snorkel and a mask would do. Shallow and crystal clear, Grecian Rocks is a great place for beginner snorkelers and divers, too. Anchor your yacht anywhere and start exploring. Alligator Reef Light House in Islamorada is another great spot for snorkelling and diving. Coffins Patch in Key Colony Beach is the place to see nurse sharks, groupers, puffer fish, stingrays and eels. Vandenberg wreck, a deep dive site, is for more experienced divers. You’ll find plenty of swim-through opportunities (wheel house, chart room, carpenters room), but you’ll have to plan on a current going from mild to moderate. You’ve been under the sea and seen so many fish species, so obviously the area is also good for fishing. Indeed, there is no better place to catch yellow-tail snapper, tarpon, bonefish or even a lemon shark than here. A fishing trip is great for morning warm-up or evening cool-down, particularly since it is easy to plan once you are on a luxury yachting vacation! 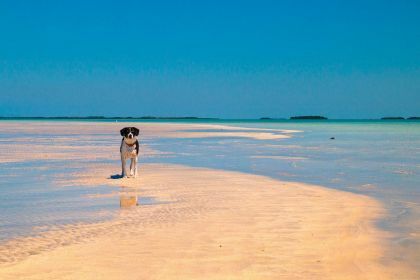 Swimming, diving, snorkelling, kayaking, spearfishing and lobster hunting are all a lot of fun, however you may want to feel the solid ground under your feet – and explore one of the islands. 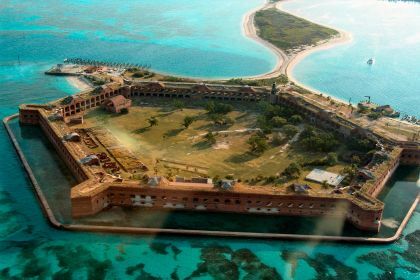 Dry Tortugas, for instance. Or Key West. Key West Butterfly and Nature Conservatory is where you go to have butterflies fly around you and a pair of flamingoes, the stars of the conservatory. They walk the paths, squawk loudly and mingle with the visitors. 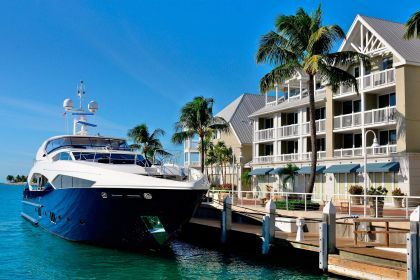 Some of the best Key West restaurants are found in Mallory Square as well. Take Latitudes, for instance. This is the place you’d go to for top quality seafood: grouper, stone crab claws, lobster tail, as well as lovely setting, great views, immaculate service and unbelievable sunsets. You’ll have to make a reservation in advance though if you want to come for dinner. Tavern N Town is another fine dining venue, serving American cuisine and seafood, of course. Barracuda Grill in Marathon is ideal for romantic dinners, their snails and mushrooms in a marsala sauce, curry shrimp and seared tuna are simply superb. You’ll want to come back for more. 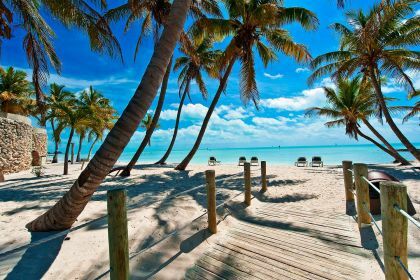 Key West is also known for its party scene. Good place to start the evening would be the Mallory Square – you’ll have to watch at least one sunset from here. Picture street performers, outdoor bars and dining, awesome views, the yachts going back and forth, and you got the overall idea of what Mallory Square is all about. 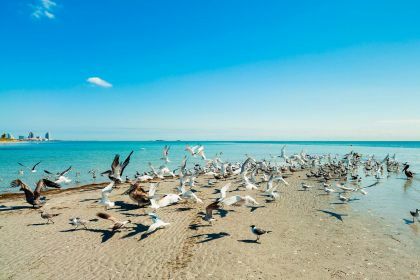 Florida Keys is a destination for lovers of nature, seafood, island hopping, steaks, wildlife, history and partying. 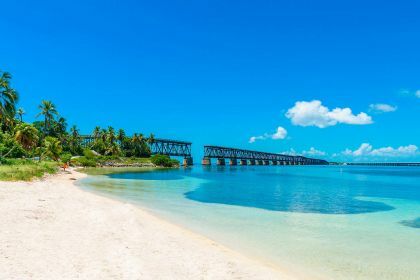 If any of that sounds appealing, contact our charter broker and we’ll give you the best advice on how to turn your next Florida Keys yachting vacation into the experience closest to effortless perfection.